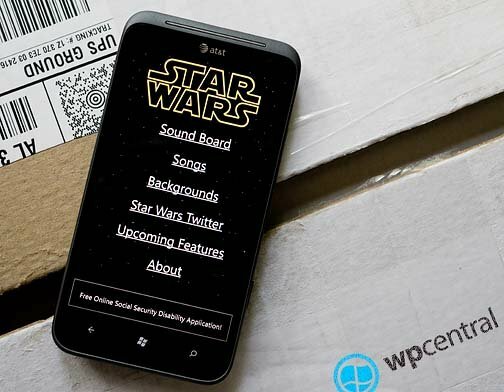 If you are a Star Wars fan, here's a Windows Phone app that will make you smile. Star Wars by Jaxified is a collection of sound bites, songs and background images from the complete Star Wars saga. From Chewbacca's roar to R2D2's beeps to Vader's ugly mug, this app is all about Star Wars. Star Wars currently has seventy one wallpapers that range from Boba Fett to Darth Vader to Luke Skywalker. There are over one hundred fifty sound bites and songs that all can be saved as ringtones to your Windows Phone. To save a sound/song as a ringtone, just tap and hold on the sound/song title. The "save as" window will appear where you can give the tone a custom name and save it to the phone. To save a background image to your Windows Phone, just tap and hold on that particular image and it is saved to your Saved Image folder in your Pictures Hub. For the most part, the collection is nice. Sound quality is good but some of the sound bites cut off too soon. There is enough variety to appeal to everyone. The only lack of variety seems to be from Chewbacca with six roars that all sound alike, but then again Wookie was never my strong suit. The only downside I could find with Star Wars was with audio playback in that you can play one sound over another. As long as you're careful and wait for one sound bite to finish before playing the next, this shouldn't be a problem. Star Wars has been updated several times and the developer has plans for a trivia section, live tile support as well as more sounds and images. If you're a Star Wars fan, this is a very nice collection of sounds and images for your Windows Phone. 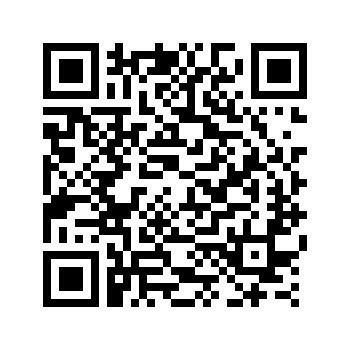 Star Wars is a free, ad support app that you can find here at the Windows Phone Marketplace.